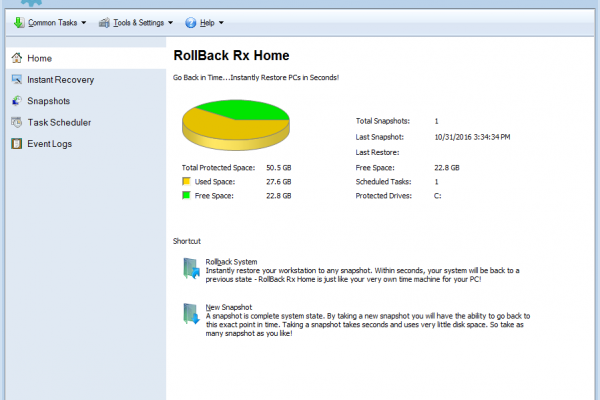 The best FREE time machine for your PC. 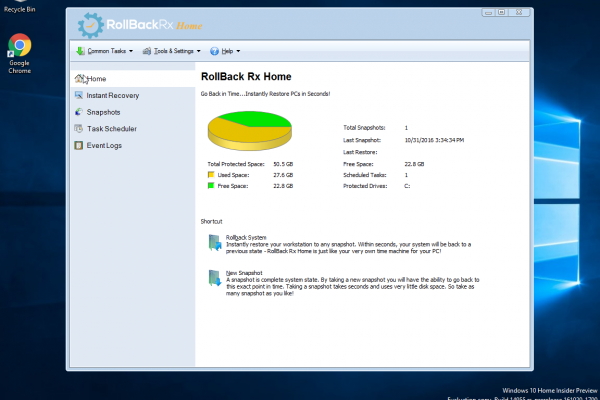 RollBack Rx Home Edition is a FREE instant time machine for your Windows workstation. 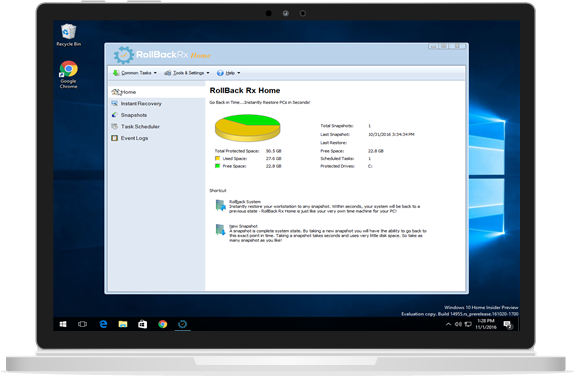 It is a comprehensive Windows System Restore solution that empowers users and IT administrators to easily restore their PCs to any previous state within seconds. 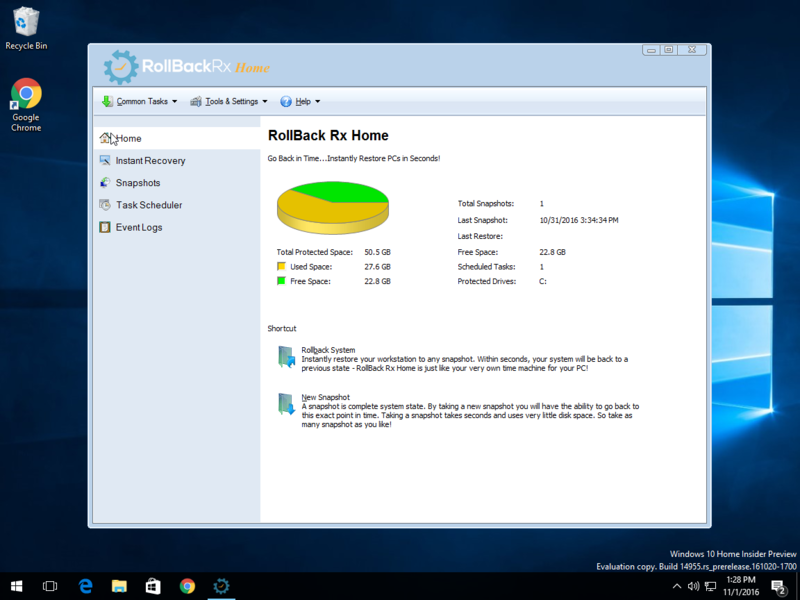 RollBack Home Edition helps users better manage and lockdown Windows based PCs. 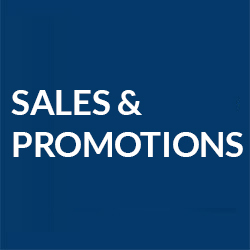 For Home and Limited Commercial Use Only. Go back to any previous point in time within seconds. 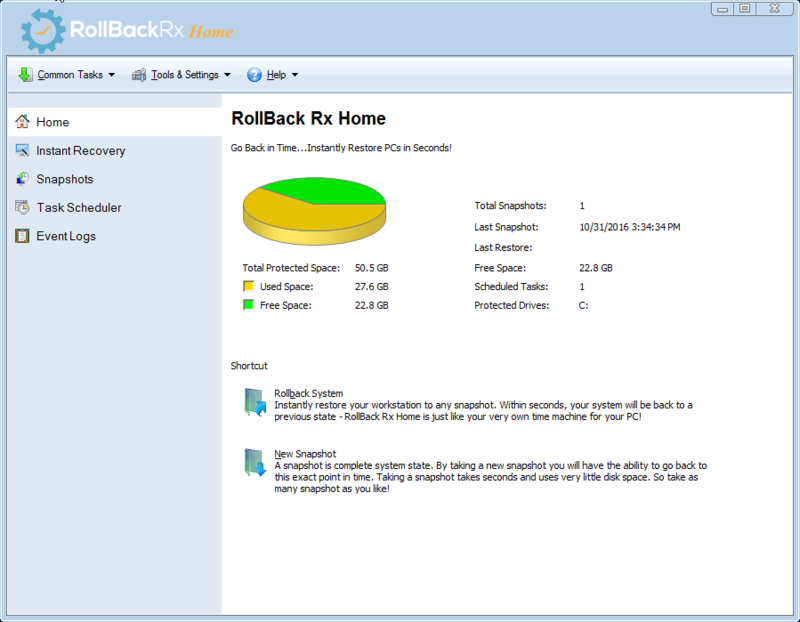 Go back minutes, hours, days, weeks, or even months to any previous snapshot. Will not affect computer performance and uses minimal system resources. Supports up to 7 snapshots. 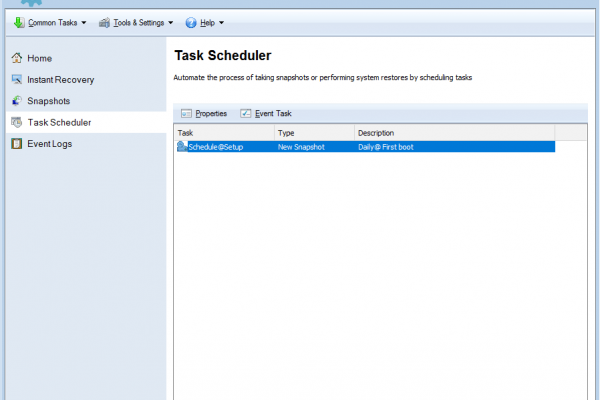 Creates a complete system snapshot without having to restart the system. 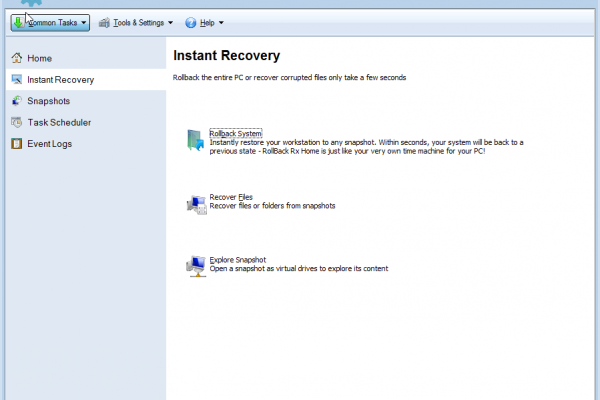 Will reverse any system crash within seconds (even if Windows cannot startup). 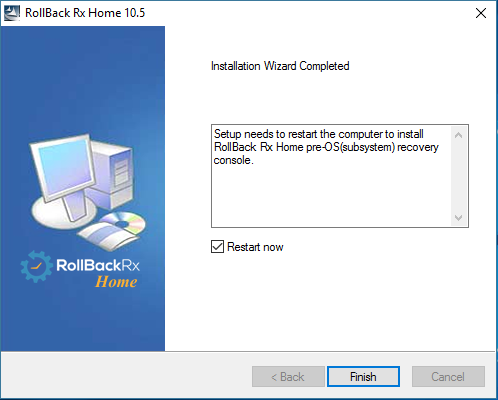 Ability to back out of any failed program and OS updates as well as botched updates. 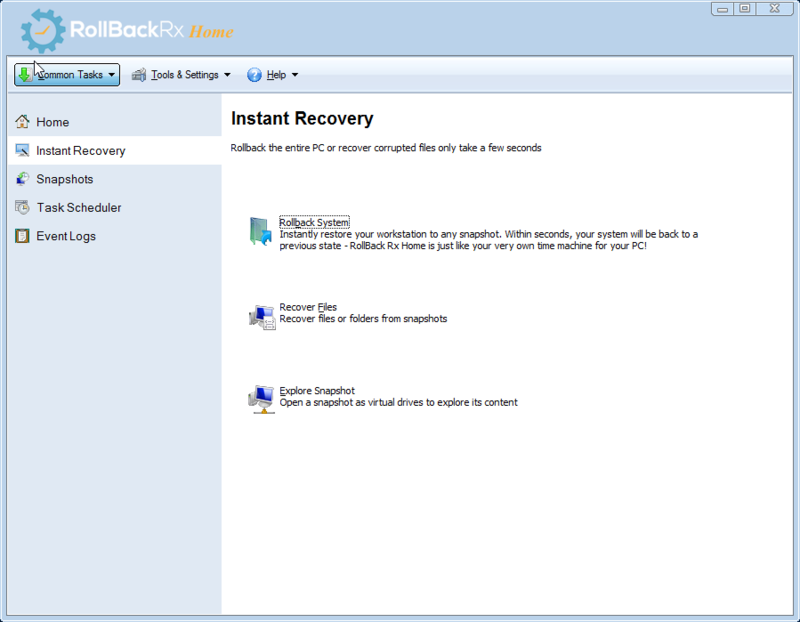 Recover from any malware or virus attack within seconds. 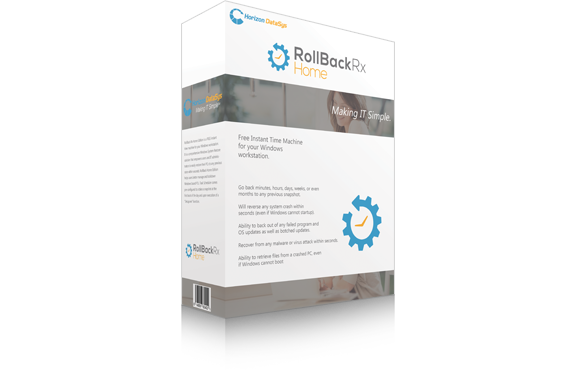 Compatible with VMWare and Virtual Machines, both as a host or within the virtual machine as a client. 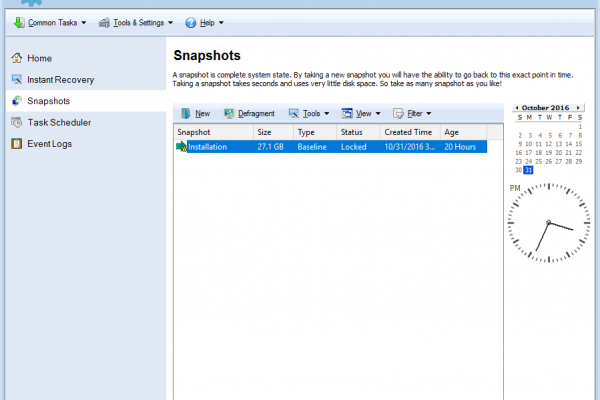 Locks snapshots to prevent automated deletions. 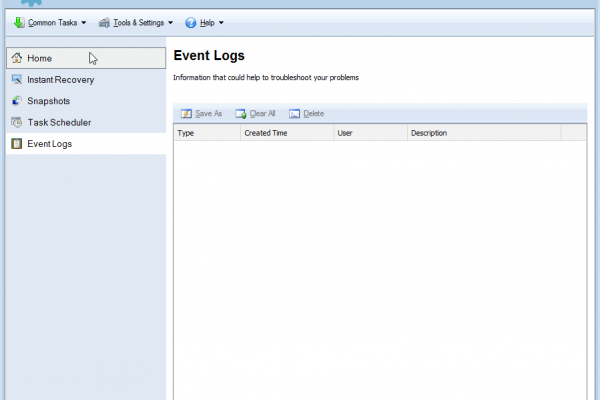 Complete with a intuitive GUI based snapshot manager. Explore, browse and retrieve files and folders from any snapshot. Drag and drop them into your active system. 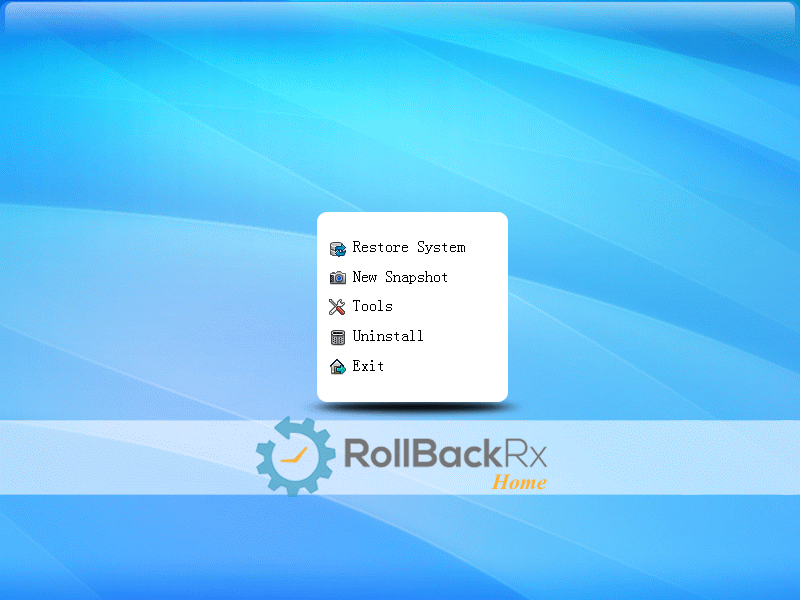 Roll backwards as well as forwards to any available system snapshot. 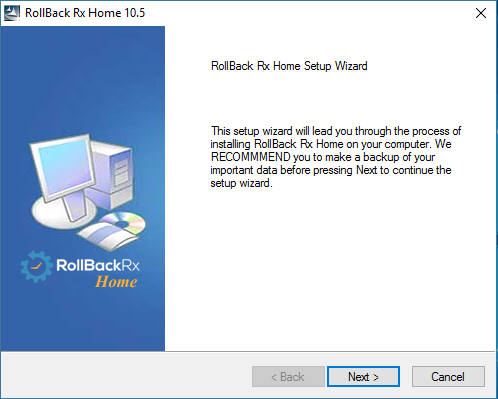 Allows users to safely test any software, and complete a 100% uninstall. 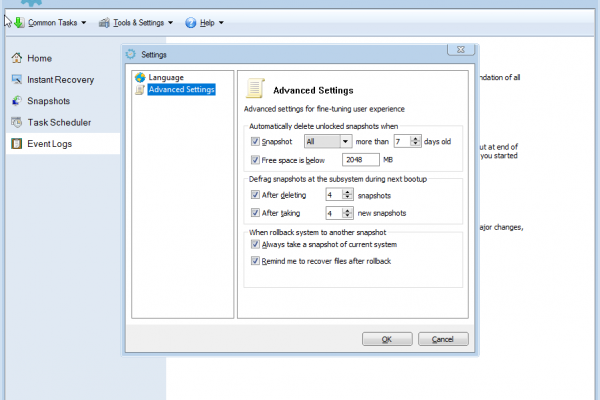 Ability to retrieve files from a crashed PC, even if Windows cannot boot. 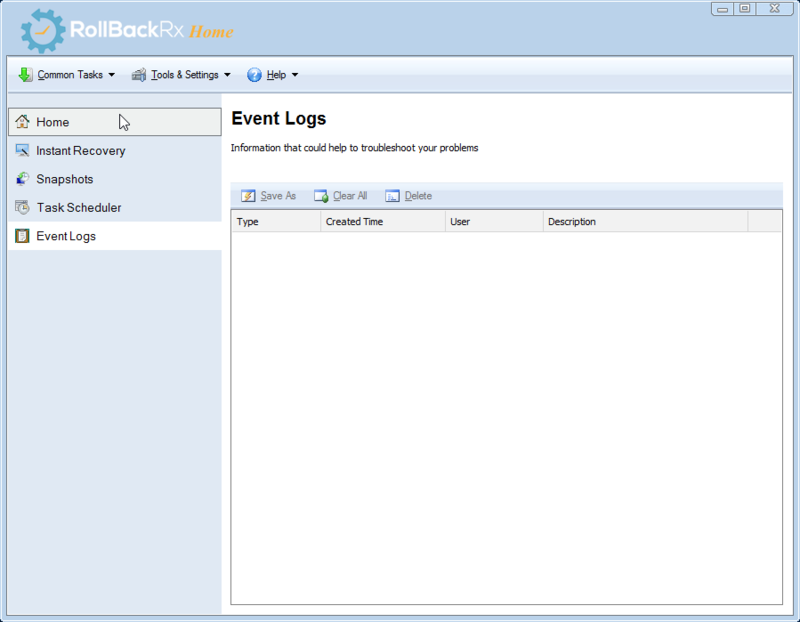 Manually take a snapshot on demand. 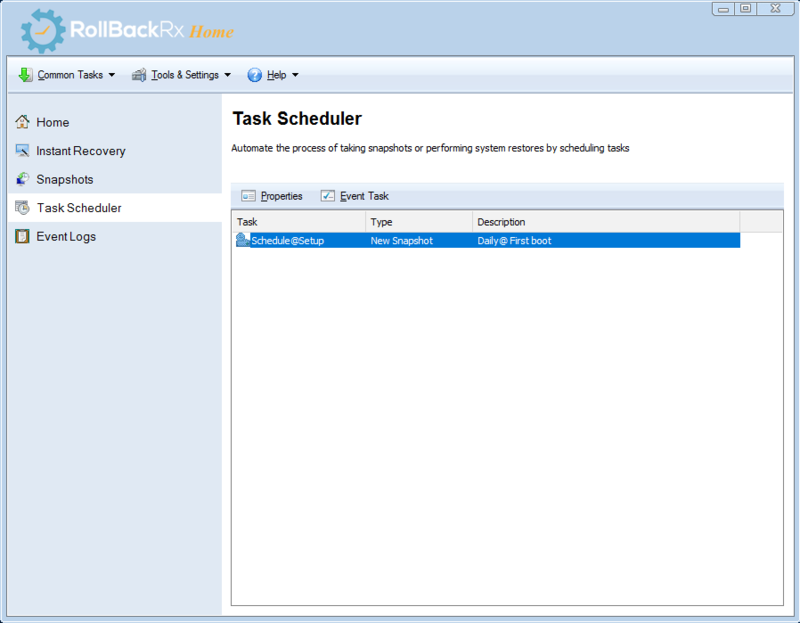 Task Scheduler comes pre-configured to a take a snapshot at the first boot of the day and upon execution of a “Setup.exe” function.